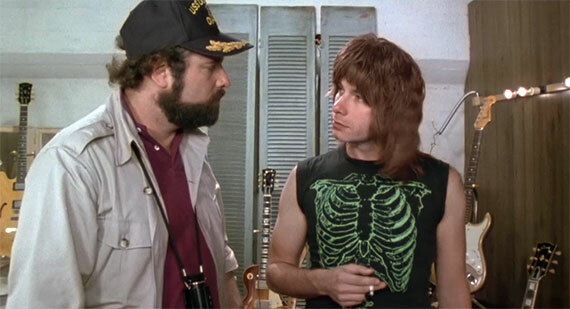 If you're a musician or you know one, you've undoubtedly heard (or made) references to the greatest mockumentary of all time: This Is Spinal Tap. If you don't know the film, it features film-maker Marty DiBergi (Rob Reiner) documenting the U.S. tour of "England's loudest band" and the subsequent release of their record "Smell the Glove" (later re-titled "None More Black"). There are so many great, quotable moments in the film, but perhaps none as memorable as Nigel Tufnel (Christopher Guest), guitarist extraordinaire, showcasing his collection of guitars and amplifiers to DiBergi. The collection features some incredible guitars and amps, but none is as impressive as the Marshall amplifier that "goes to eleven". As Tufnel explains "You see, most blokes will be playing at 10. You’re on 10, all the way up, all the way up...Where can you go from there? Nowhere. What we do, is if we need that extra push over the cliff...Eleven. One louder." Of course, DiBergi is incredulous, asking "Why don’t you just make 10 louder and make 10 be the top number, and make that a little louder?" 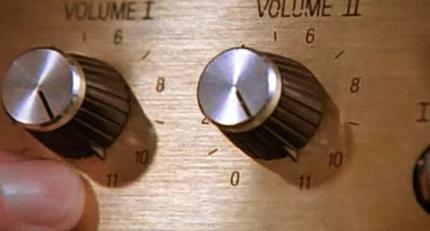 After pausing for a moment, Nigel delivers, in his "Squatney" deadpan: "These go to eleven." Sometimes, the most obvious explanation is the right one. Which brings me to this week's whisky review: Talisker 57 Degrees North. According to their website: Talisker 57° North takes its name from this remote, rugged and windswept distillery’s latitude. And rightly so, because this is an untamed, natural expression of the Talisker’s full power: a volcanic, intensely appealing flavour that most drinkers will have only experienced in a cask strength bottling. Cask Strength? Yes, this is bottled at 57.8% ABV, so it packs a wallop. Why would anyone want a whisky that strong? A cask strength whisky gives you the full spectrum of flavour and allows you to control how diluted your whisky is. If you want an easy sipper, add water until it's dialed down to your liking. But if you need that extra push over the cliff, drinking undiluted cask strength whisky will do the trick. Talisker is a whisky I could identify blindfolded. 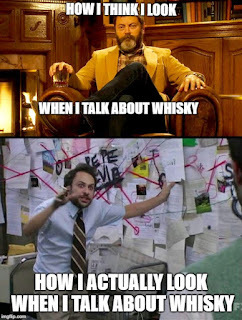 Its distinct aroma and flavours are unlike anything I’ve encountered so far in my whisky journey. There’s no age information I can find on this whisky, but after tasting it, my best guess is that 57 North is a vatting of 8-14 year old whiskies. But that's just a guess. I won't go full potato on an anti-NAS rant here, but the information on the age of this whisky isn't available. 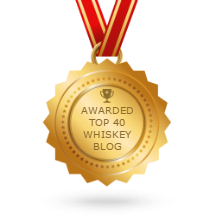 Why take a chance on a non-age-stated whisky, then? Well, I love Talisker, and this one "goes to eleven". I should note that this review is based on a sample provided by a friend. 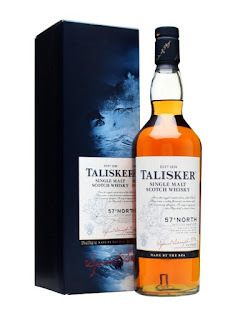 Talisker 57 North sells for $175 in Ontario and that's more than I'm willing to spend on a malt that doesn't disclose any age information, especially before trying it. To be fair, other jurisdictions have far more reasonable prices on this malt. Proceed with caution. Nose (undiluted): friendly for something bottled at 57% ABV. Classic Talisker minerality, vegetal iodine (more seaweed than medicinal), slight chalkiness, brine, black pepper, moderately smoky. There are some notes reminiscent of grapefruit (the "meat" not the pith). As this sits in the glass, there are some cinnamon, oak and wood varnish notes popping through. Very complex nose. Palate (undiluted): hot, peppery arrival, prickly, almost hoppy on the tongue, the slight chalkiness returns, developing some citrus, with the cinnamon, black Pepper/chili pepper and oak tannins popping back up. Finish: Medium length and somewhat drying. This was a bit shorter and more drying than I expected. A bit of brine remains with some smoke and fruitiness lingering. With water, the wood varnish (cask?) notes come forward on the nose, as does the brine and seaweed. the smoke retreats to the back, as a kind of echo. As the whisky sits, a kind of industrial machinery aroma lingers (if that makes any sense). On the palate, with water, the smoke becomes more evident as does the cinnamon and spice. The finish is not quite as drying with water, but shorter than I expected. Very pleasant nonetheless. I nursed this pour for about 2 hours while doing laundry and with time, it got more interesting. At the very end of the finish, I was detecting a bit of unripe banana. I really enjoyed this whisky, but I’m a Talisker fan so make of that what you will. I’ve been fortunate; I’ve never hit a bad bottle of Talisker. This sample was no exception. I highly recommend this whisky IF you can get it for a more reasonable price. As much as I liked it, I would NOT pay $175 for it. I love a cask strength whisky but you nailed it with the price issue. Why would anyone pay that price for this whisky? I'll have a 3 bottles of 10yo Ledaig instead please. Where in the States are your friends buying Talisker 57 AT ALL, let alone for $90?? ?